Dr. Heather Wakelee is a medical oncologist in Stanford, California. She earned her medical degree from Johns Hopkins University School of Medicine and earned a residency in internal medicine and a fellowship in medical oncology at Stanford University. Dr. Wakelee is certified by the American board in medical oncology. 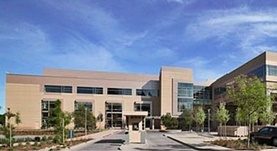 She has been in practice for 11 – 20 years and is currently affiliated with Stanford Health Care. Dr. Heather A. Wakelee has contributed to 3 publications. Tsao, A. S.,Scagliotti, G. V.,Bunn, P. A.,Carbone, D. P.,Warren, G. W.,Bai, C.,de Koning, H. J.,Yousaf-Khan, A. U.,McWilliams, A.,Tsao, M. S.,Adusumilli, P. S.,Rami-Po...; J Thorac Oncol. 1900 Jan 01. Differences in Active and Passive Smoking Exposures and Lung Cancer Incidence Between Veterans and Non-Veterans in the Women\'s Health Initiative. Bastian, L. A.,Gray, K. E.,DeRycke, E.,Mirza, S.,Gierisch, J. M.,Haskell, S. G.,Magruder, K. M.,Wakelee, H. A.,Wang, A.,Ho, G. Y.,LaCroix, A. Z.; Gerontologist. 2016 Jan 16. Chuang, J. C.,Neal, J. W.,Niu, X. M.,Wakelee, H. A.; Lung Cancer. 2015 Aug 16.